SpaceX Falcon9 arrived back in Port Canaveral today on the Spacex drone ship “Of Course I Still Love You”. It is the fourth successful landing of these rockets, it is the third successful landing on the drone ship and the first time we’ve had the pleasure of watching the rocket come back into Port Canaveral during the day time. 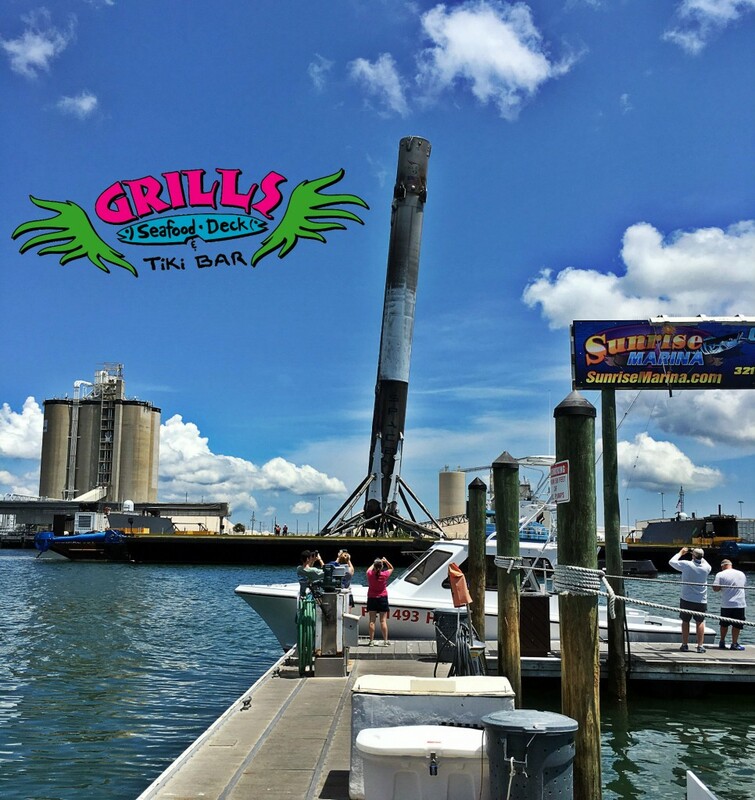 These spacex rockets have created a lot of excitement in the Space Coast area and Grills Seafood Deck & Tiki bar has become one the best places to view the launches and recoveries. It was awesome to watch the rocket come back in today and we wish their team continued success with their future missions! Grills Seafood Deck & Tiki Bar is a waterfront restaurant located in Port Canaveral, Florida. They recently added Lion Fish to the menu and it has become a local favorite. A number of guest have made the comment that it is the best fish they’ve ever tasted. Along with a diverse selection of seafood including sushi, Grills has an awesome selection for Lunch and original Appetizers on offer. 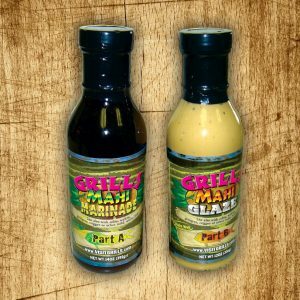 The atmosphere is laid back with a Caribbean feel, the service is vibrant and food is the best around. 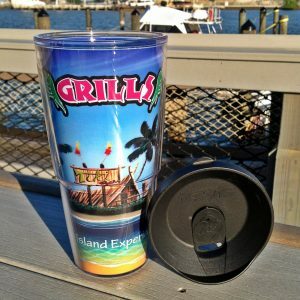 There is no shortage of things to see and do around Grills Seafood Deck & Tiki Bar. In May, a manatee stayed in the harbor for three days teaching its new born baby to swim. Guest consistently view Sea Turtles, Dolphins and fish swimming around out front. The Cruise ships sail past on a daily basis while guests enjoy their meals. 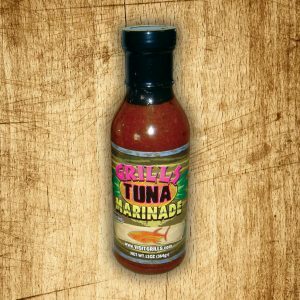 The Charter boats routinely go out and come in loaded with fresh fish when the weather cooperates. There are beautiful beaches and nearby shopping in Cocoa Beach that will entertain just about anyone. If you haven’t been to Port Canaveral or Cocoa beach in a while, it’s time to stop back in. Be sure to visit with us for while!